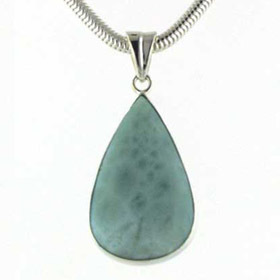 Larimar is loved for its aqua blue colour and its gentle cloud patterns known as reticulations. 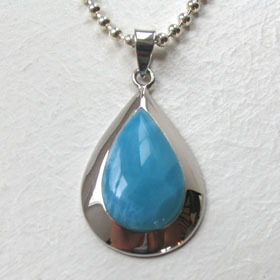 Mined only in the Dominican Republic, it is the gemstone of water. 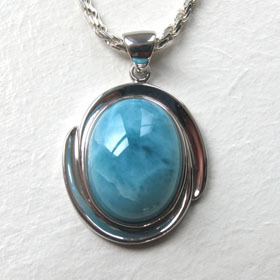 To learn more about larimar, see About Gemstones. 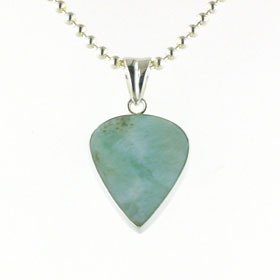 Our larimar jewellery includes larimar pendants, larimar earrings and larimar bracelets. 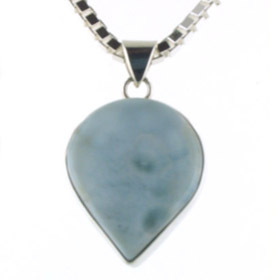 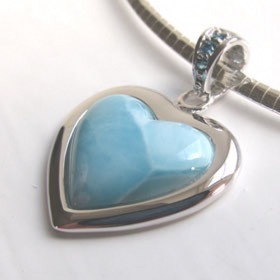 Shop for a silver chain to wear with your larimar pendant. 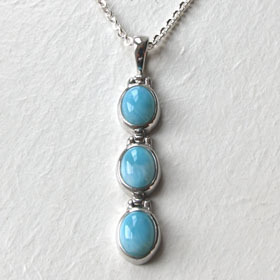 We have a comprehensive collection of Italian silver chains. 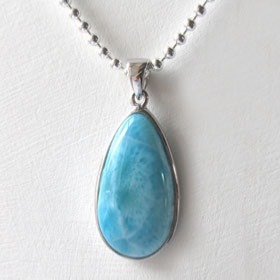 Free delivery anywhere in the UK on your larimar pendant. 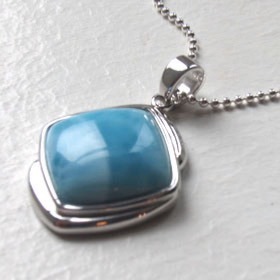 Larimar pendant set in sterling silver.